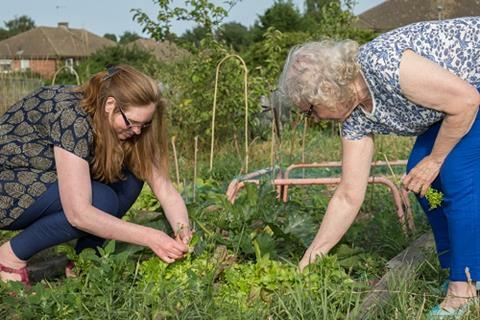 Big Local areas can now access specialist support for land-based projects. Find out how. Ross Miller, Chair of Dover Town Big Local partnership tells us about the community vision for land in his area. Read the blog. Big Local areas are invited to apply to work with Behavioural Insights Team, to explore how insights about human behaviour can help to increase participation, impact and understanding about what motivates people to get involved. Find out more. 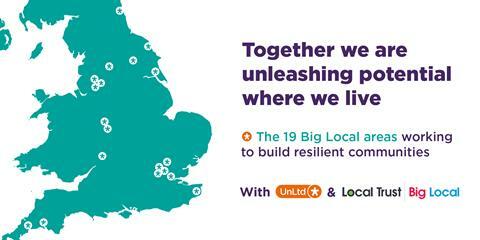 In a new partnership, UnLtd, Local Trust and 19 Big Local areas will be working together to accelerate social enterprise and increase local job creation over a three-year co-funded support programme. Find out more. In this series Matt Leach, chief executive of Local Trust, reflects on what he has learned from Big Local communities during his first year in post – starting with his very first visit to Barnfield Big Local. Read the blog. We're changing the way we deliver events for 2018, by establishing 'Learning Clusters' to enable Big Local areas to share and learn more effectively with one another. Find out more. 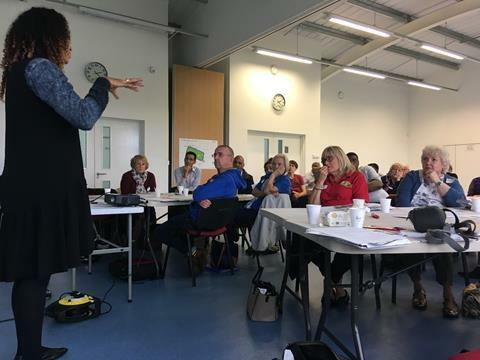 During an event in October, representatives from three Big Local areas shared their experiences with fundraising and its impact on the projects in their community. Read the blog. David King, innovation lead at Local Trust, outlines how Big Local areas can take the lead in shaping the neighbourhood around them. Read the blog. "The many examples collected - so many we couldn’t include all of them in the response to the consultation - illustrate how the arts and creativity are helping Big Local areas to achieve some the objectives in their plans"
Margaret Bolton, knowledge and learning curator at Local Trust, outlines some of the ways areas are using art and creativity to benefit their area, following Local Trust’s recent submission to the Calouste Gulbenkian Foundation. Read more about the submission. This film is an engaging look at a free, family event that took place on 8 October 2017 in Oak Lane, East Finchley. We're always on the look out for films - so if you have anything new, share it with us on social media, or just drop us an e-mail. "I am happier in life when I am helping others achieve great outcomes." Lea-Anne Clayton from South Bermondsey Big Local reflects on the daily challenges for residents in her area, how she tries to make a difference and her optimism for the future. Read the blog. Do you know someone in your Big Local area who wants to write about their experiences of Big Local? We are inviting residents who want to share stories online to contact us. The Big Lottery Fund, The Heritage Lottery Fund, and Nesta are once again working in partnership to launch a £2 million fund to support parks innovators across the UK. Find out more. Radstock and Westfield Big Local have supported Radstock museum on a local history project. Read the article. The Gaunless Gateway Big Local have developed a new way for children to play in their area. Read the article.